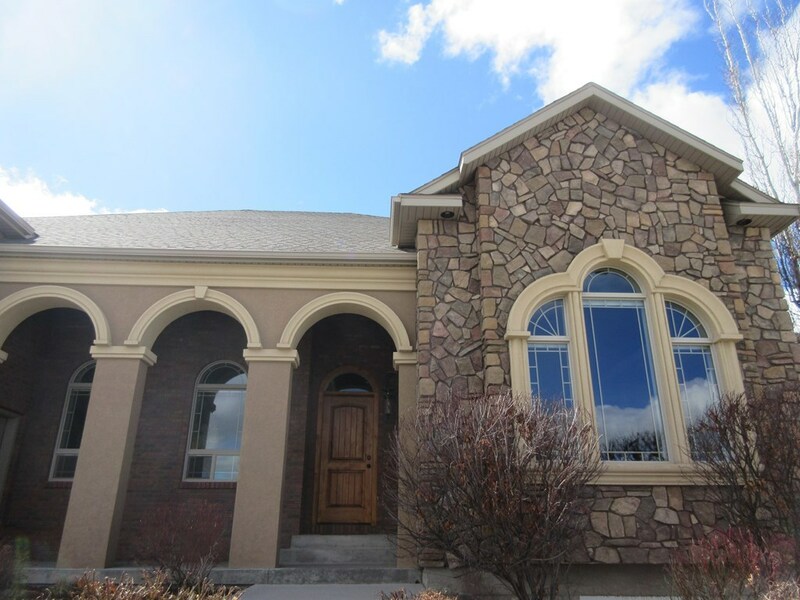 This home is stately and elegant inside and out. 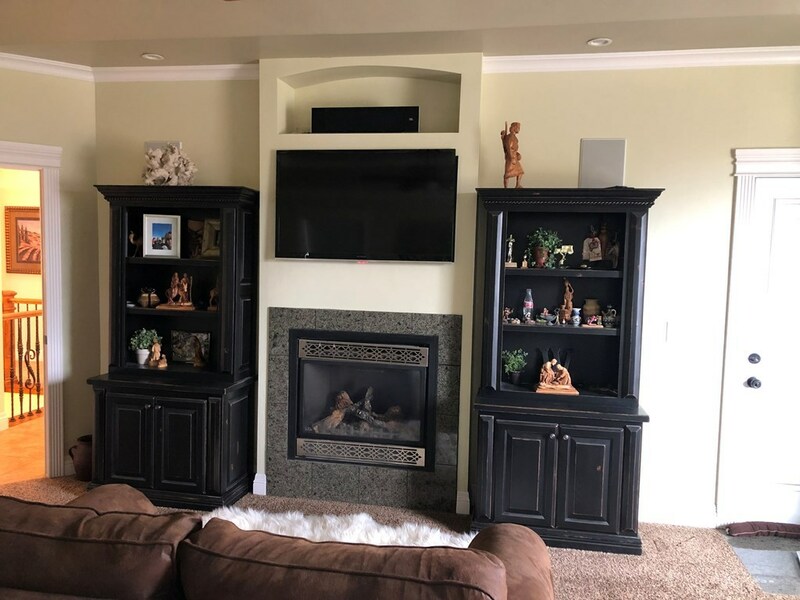 Custom build with all the bells and whistles. 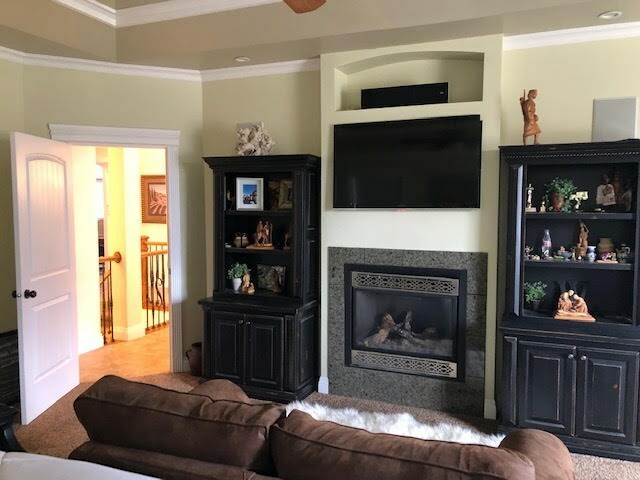 3 fireplaces, granite through out the house. 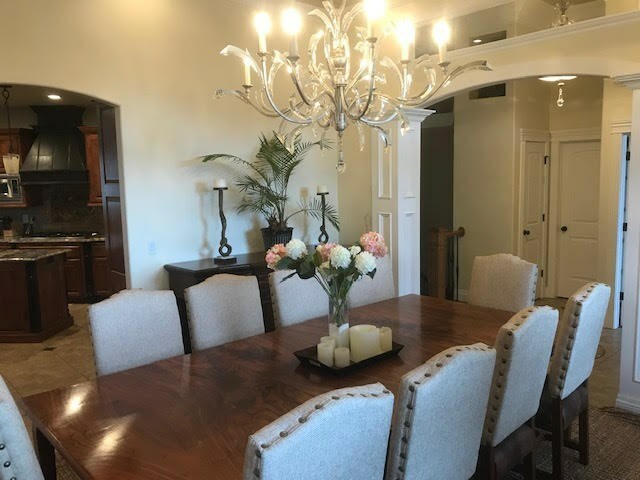 Extensive lighting, chandeliers, a controlled lighting panel. 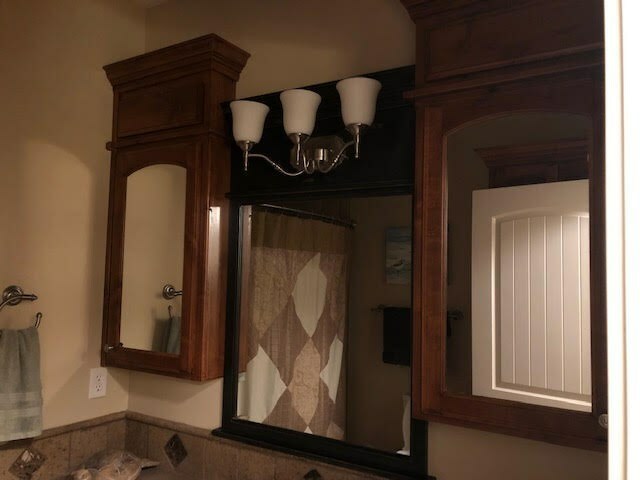 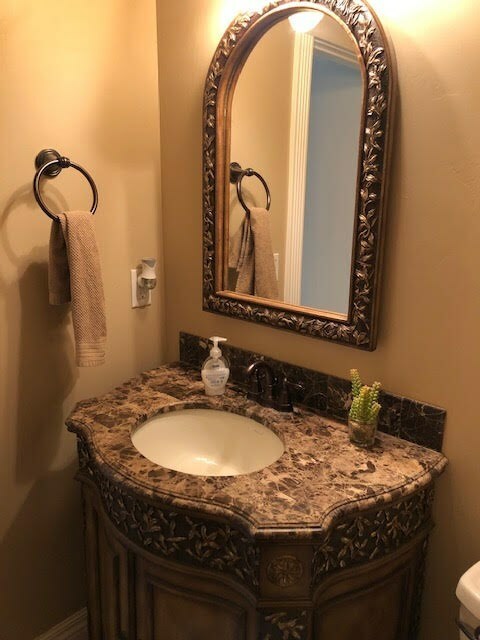 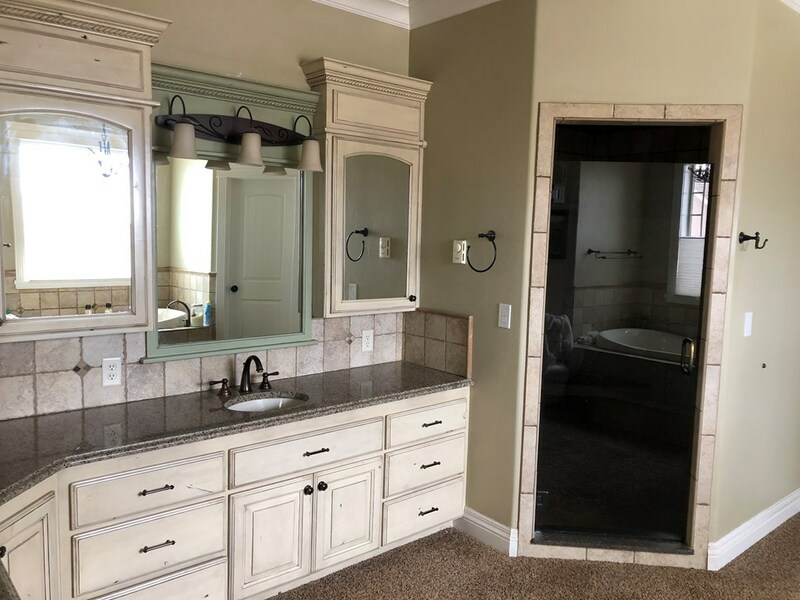 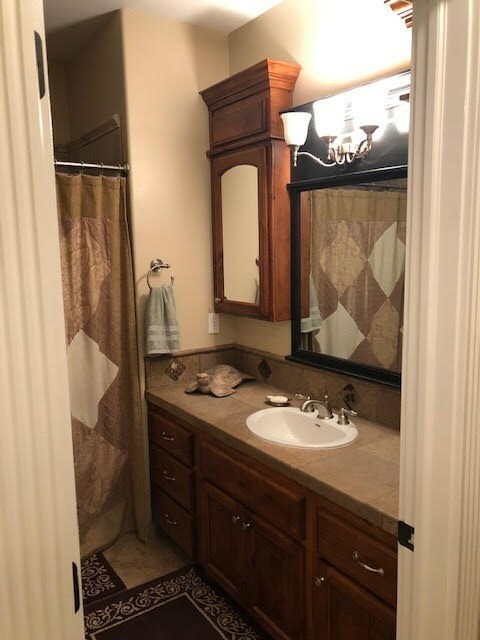 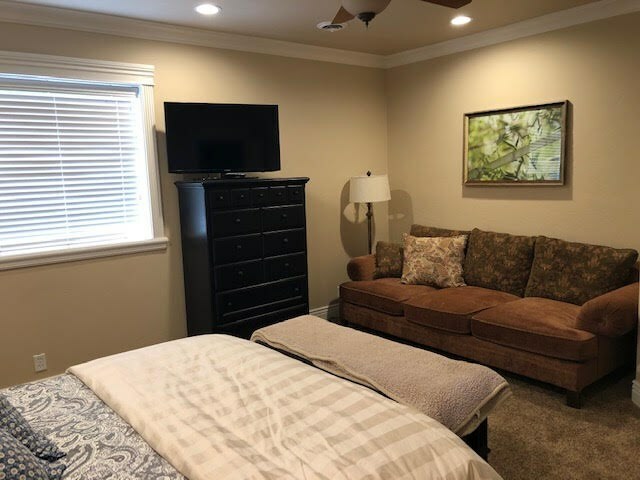 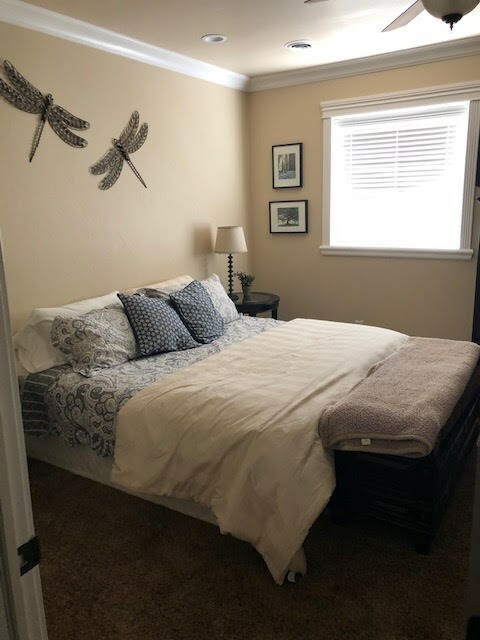 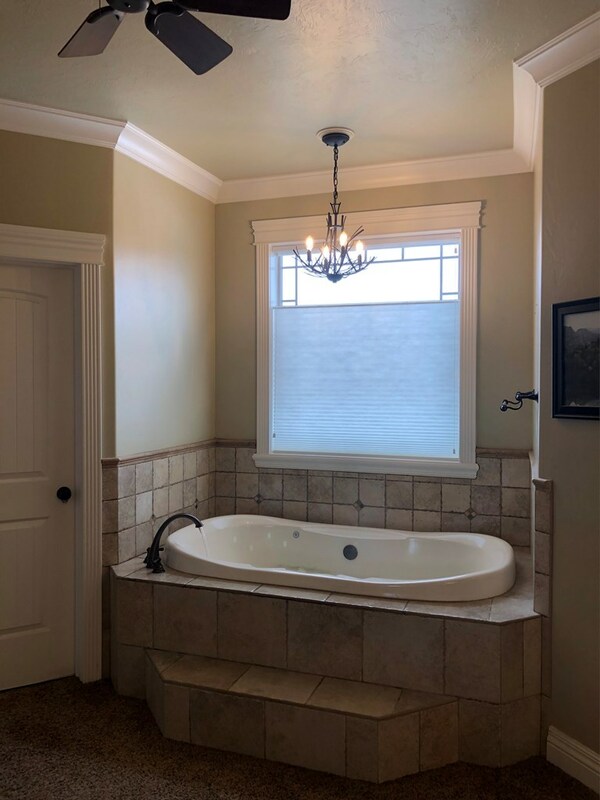 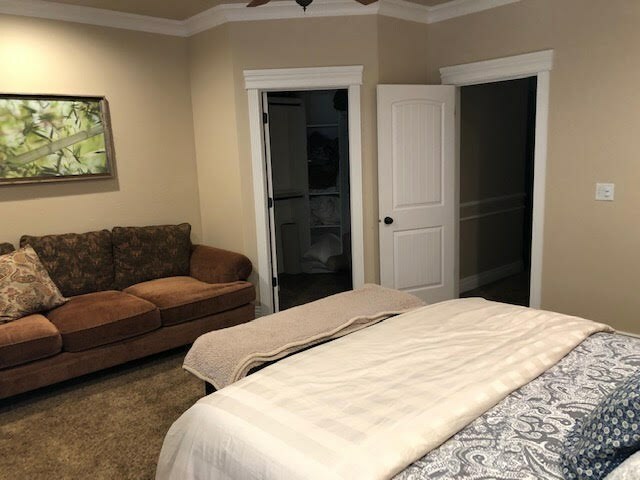 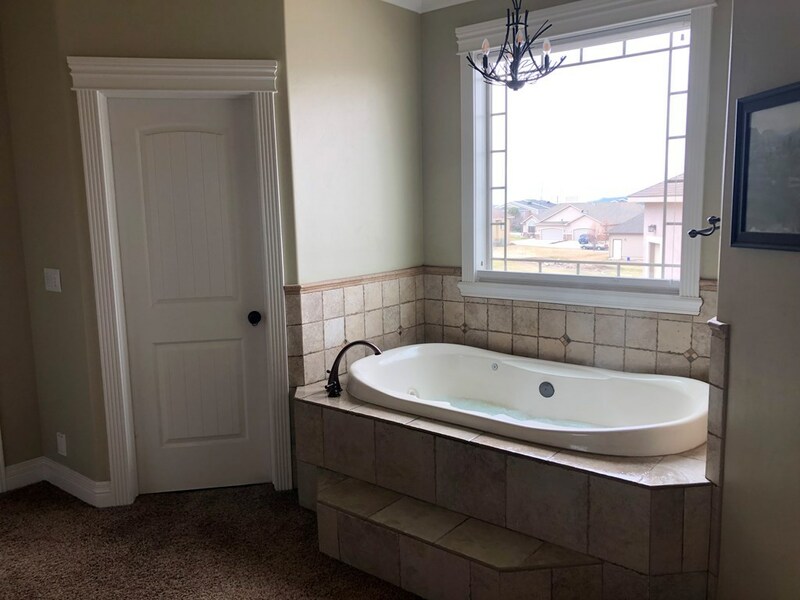 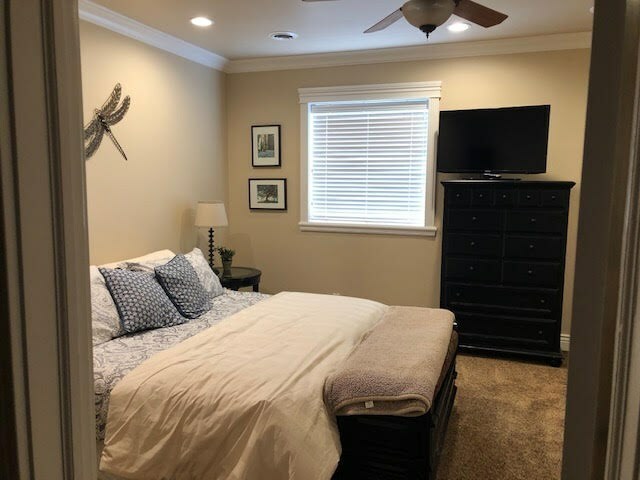 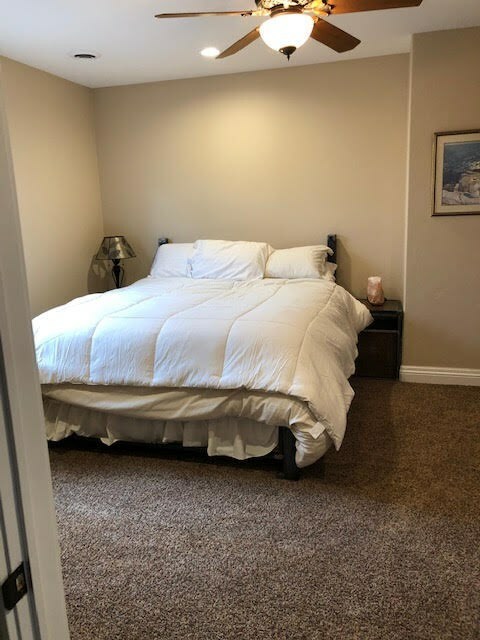 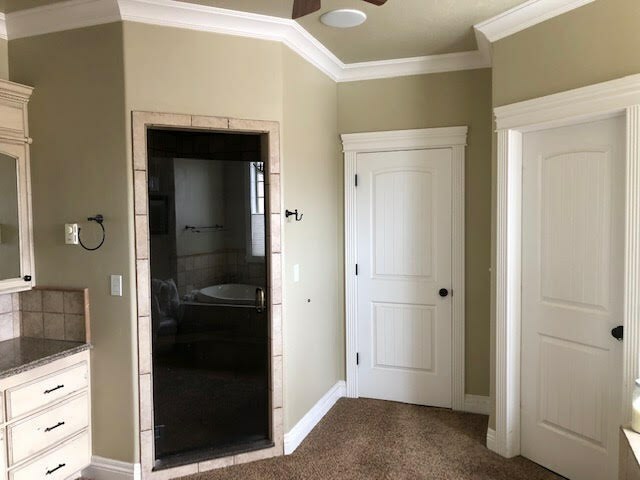 The master suite is large and includes an elegant master bath with a jetted tub and separate shower, double vanity, in to the large walk in closet. 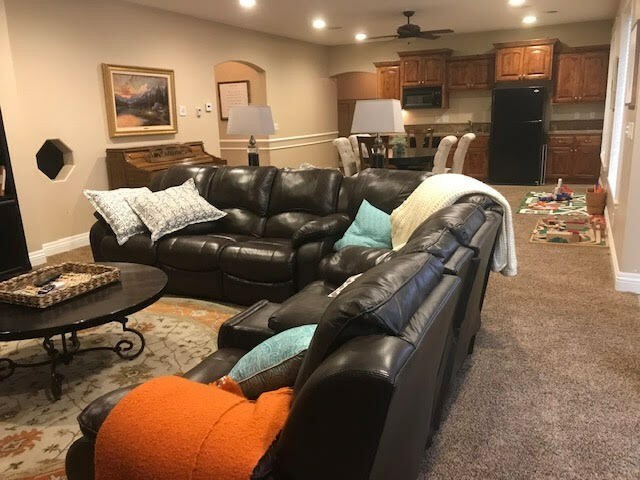 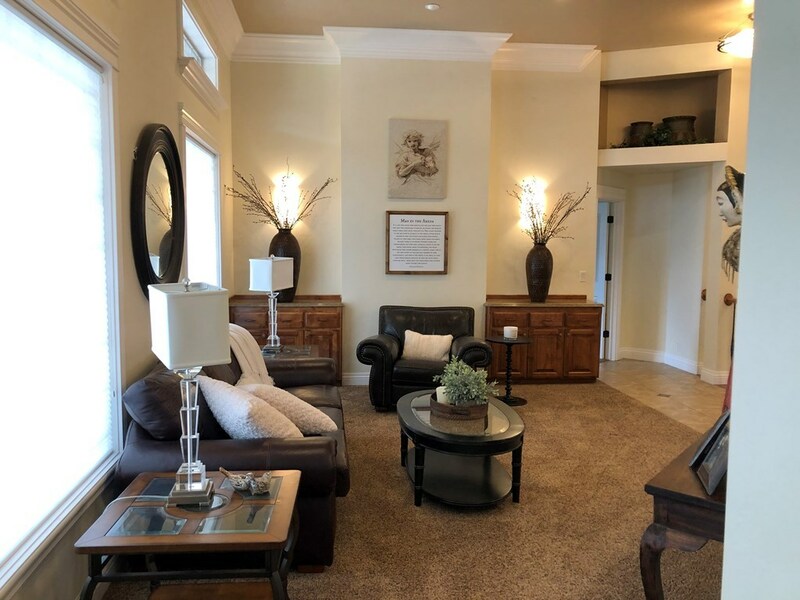 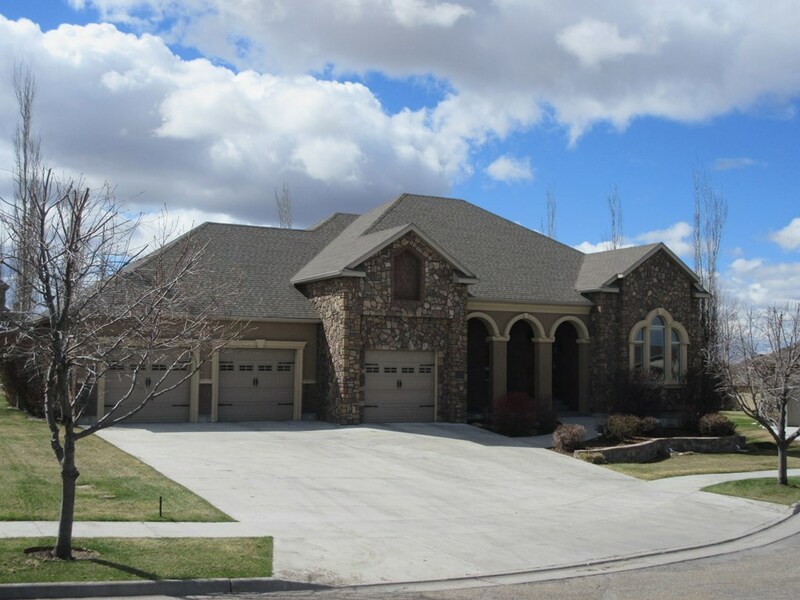 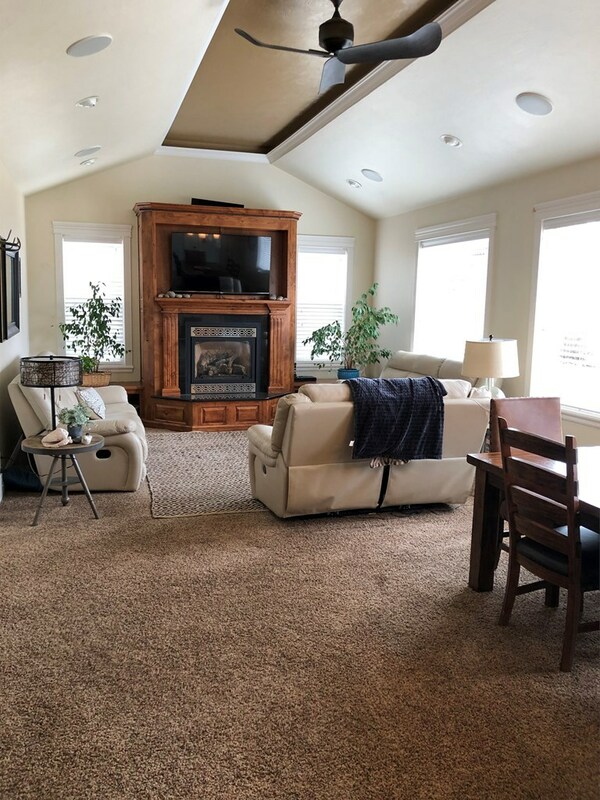 2 large family rooms plus a formal living room to enjoy family and friends. 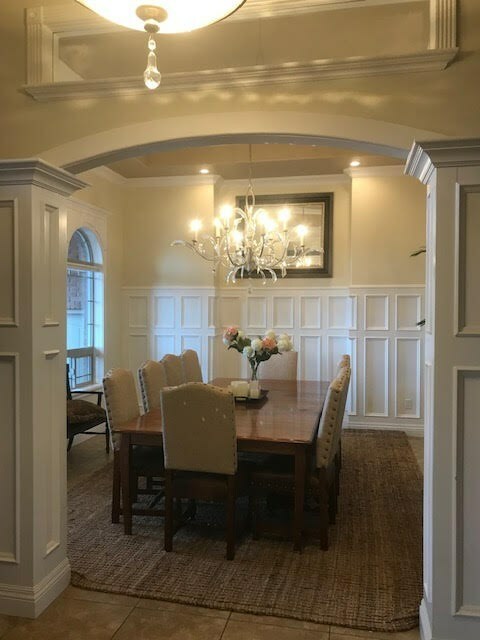 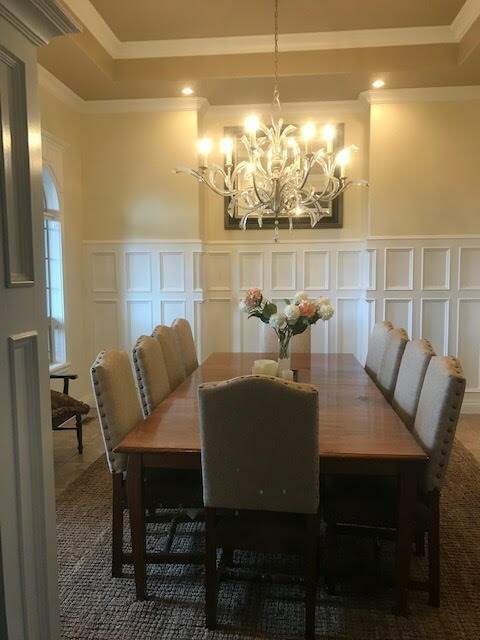 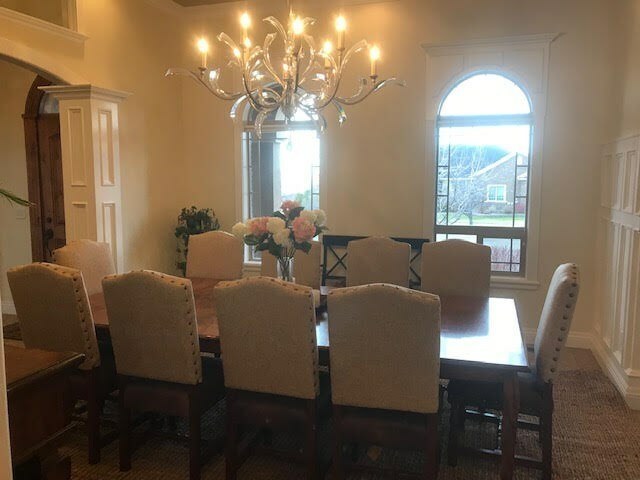 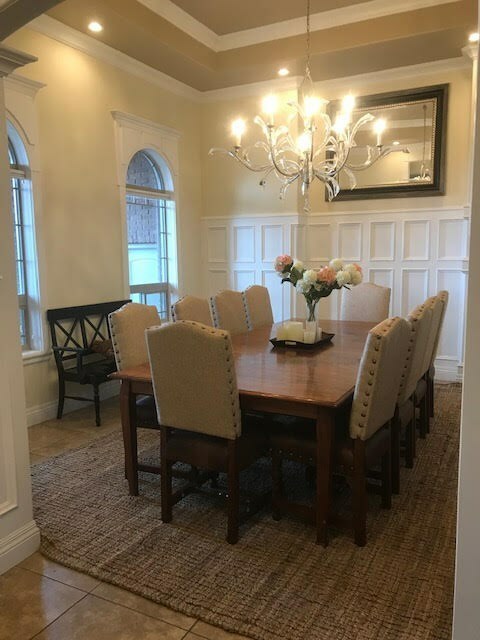 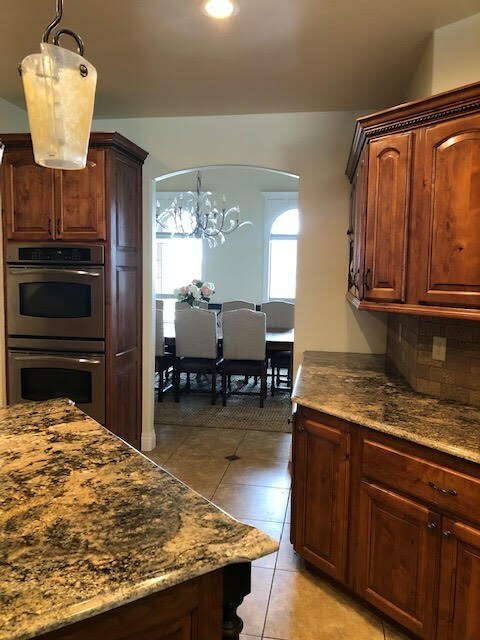 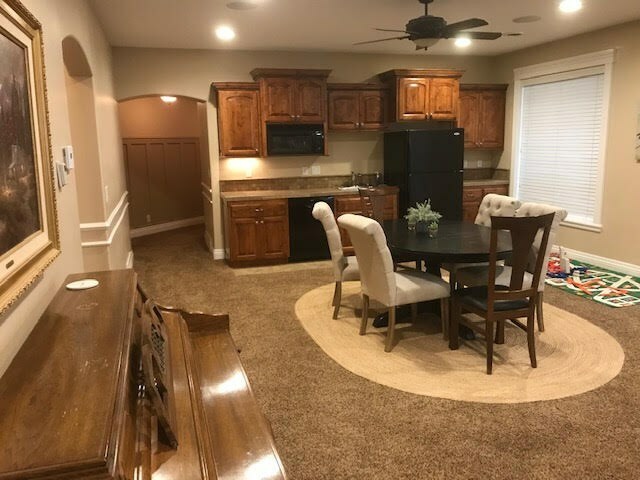 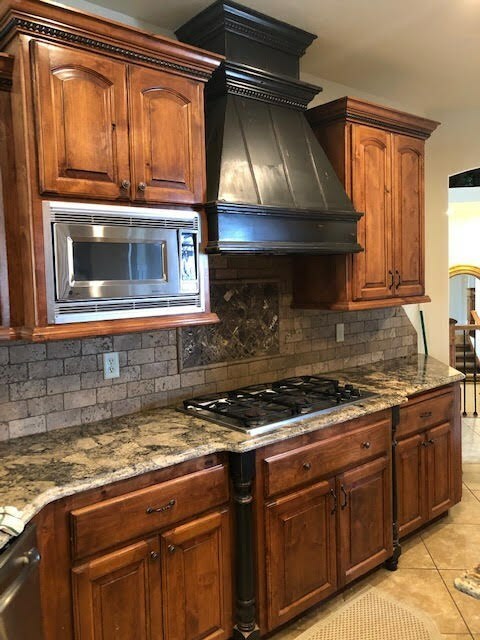 Parents can live all on the main floor.The formal dining room is off the kitchen that is to die for with its granite island, pantry, double ovens, gas range lots of cabinetry, The office is absolutely amazing with its 14 ft tall ceilings and large window and lots of desk space and cabinetry. 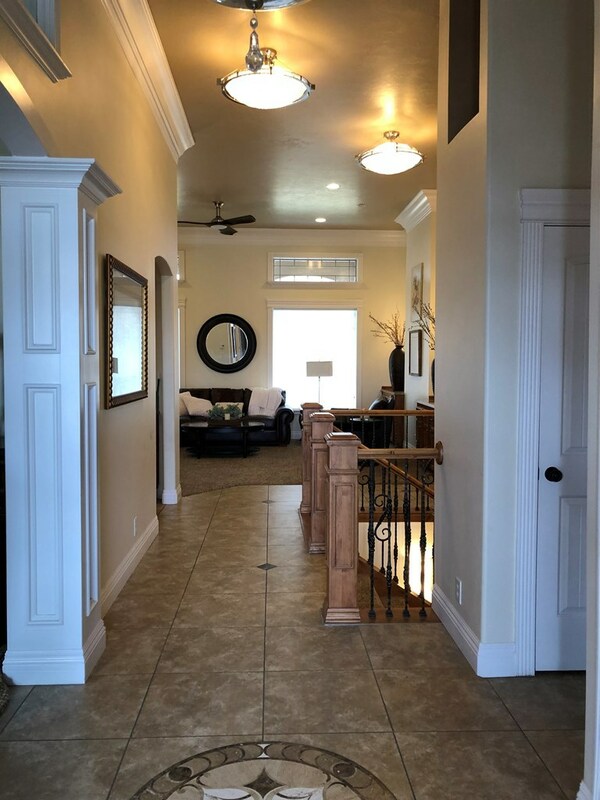 Down stairs has a large family room with an extra kitchen, and an additional laundry room. 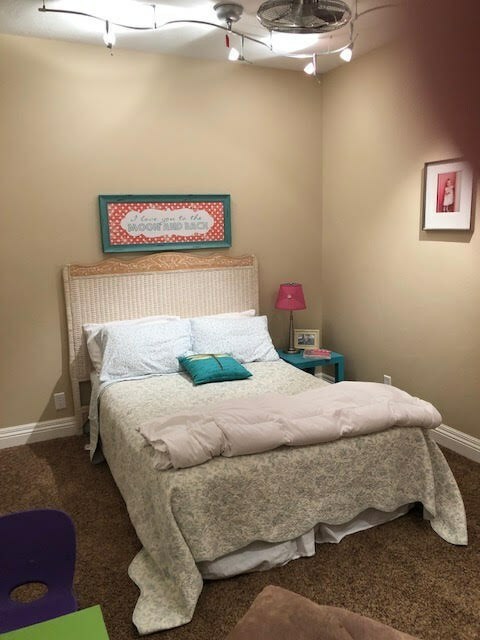 3 very large bedrooms, plus a craft room. 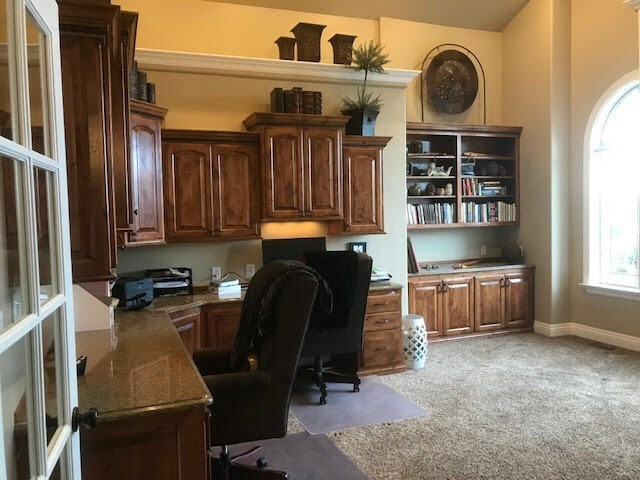 large storage rooms for all your supplies. 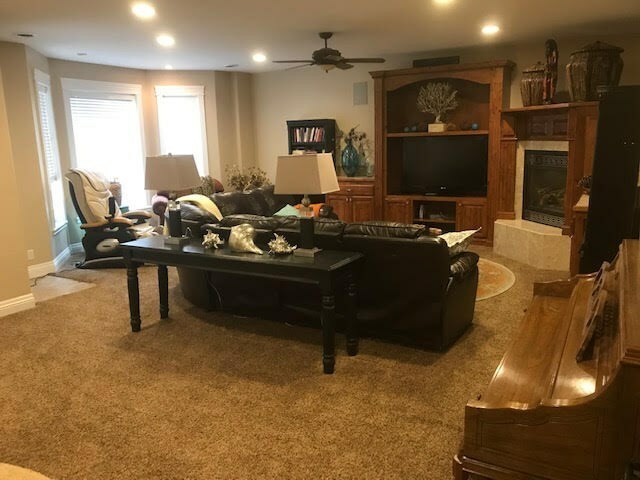 The walk out basement allows access to the back yard easy. 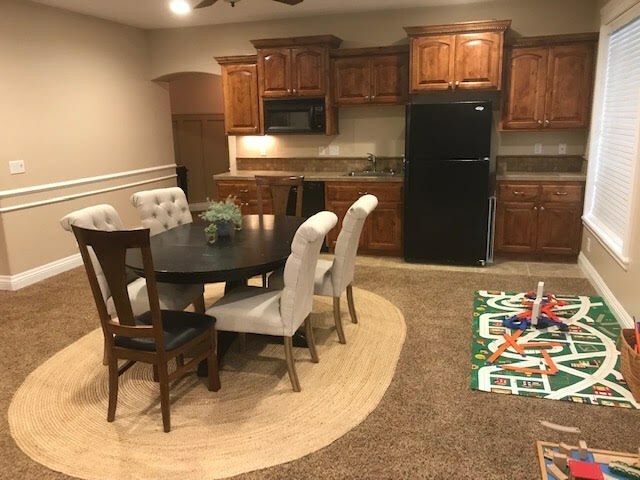 It has a large patio and an open yard to have the kids play all day. 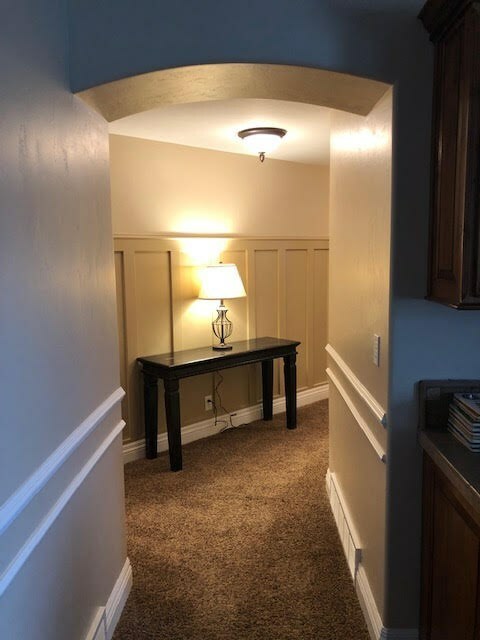 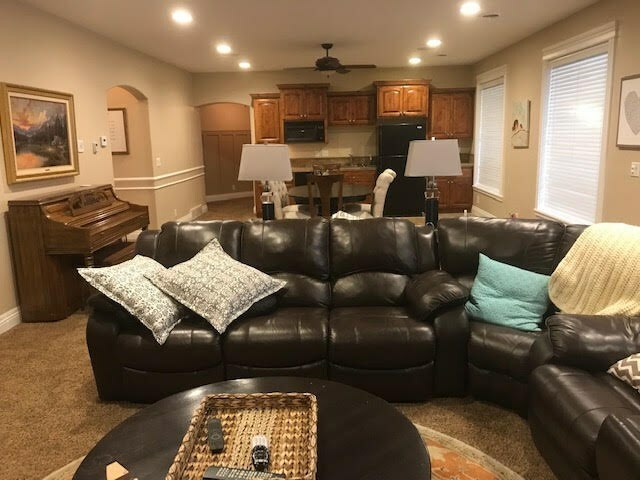 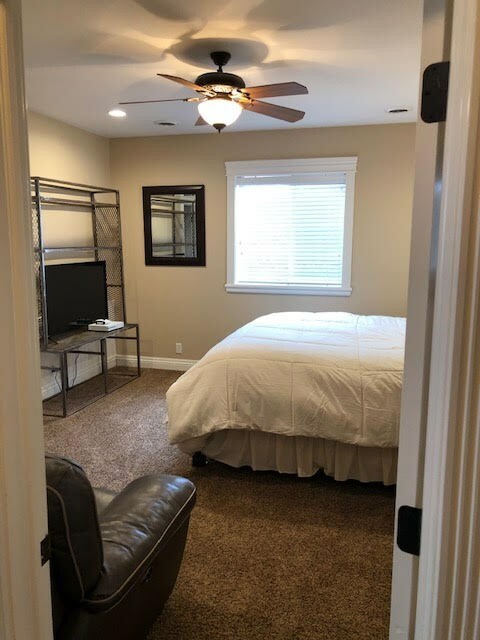 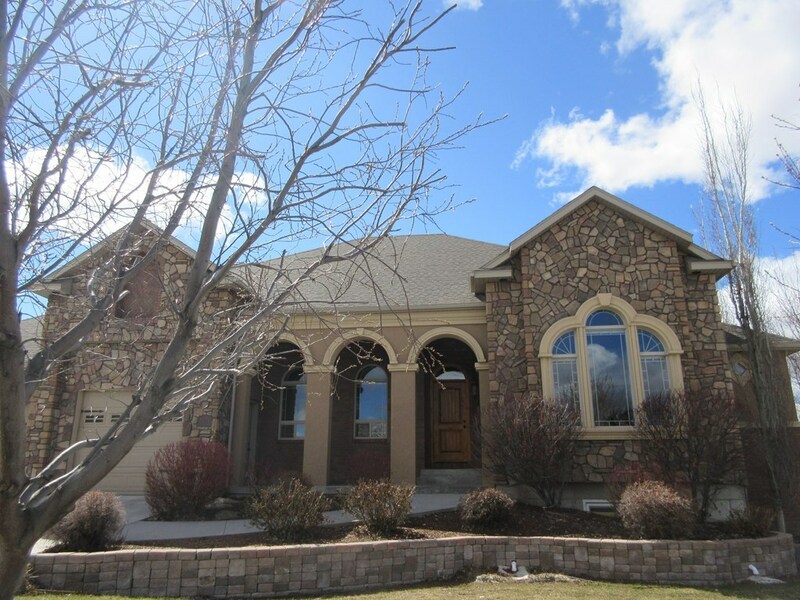 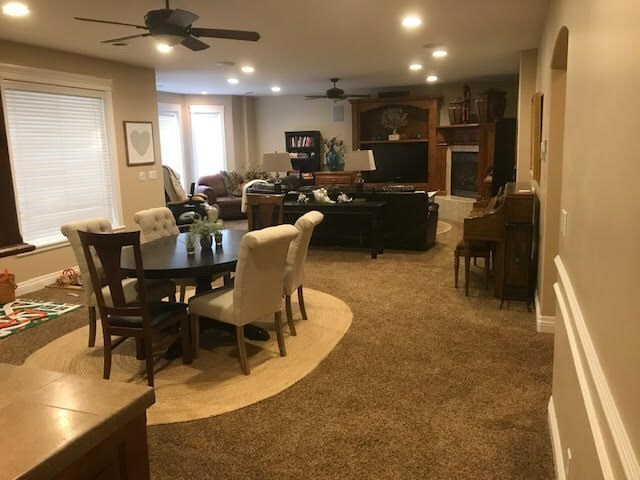 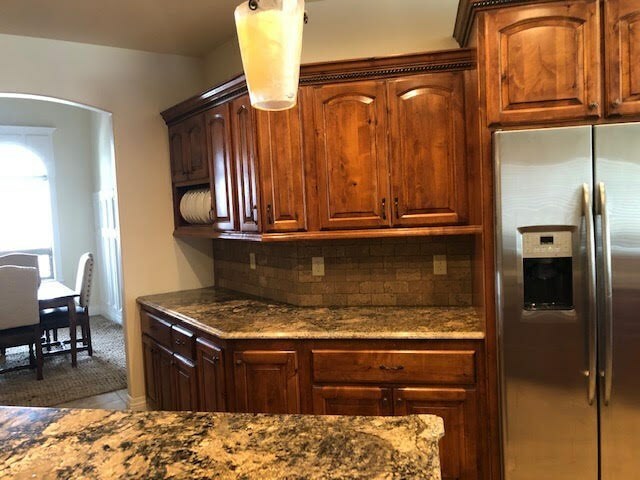 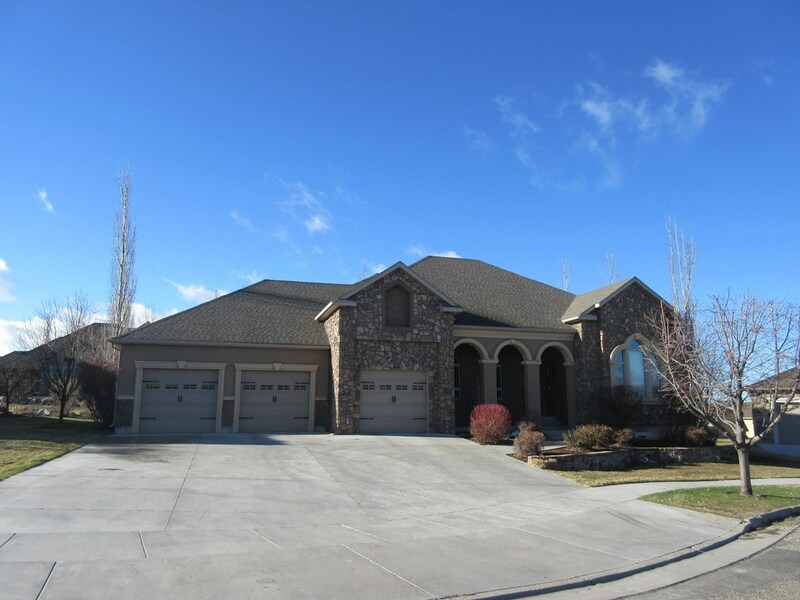 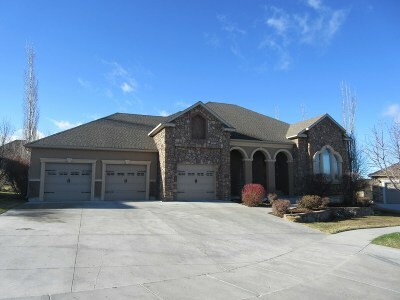 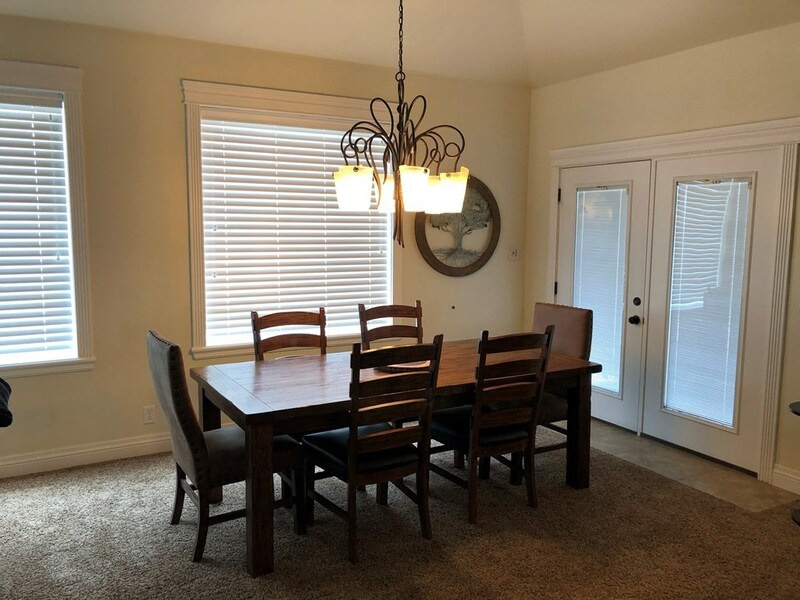 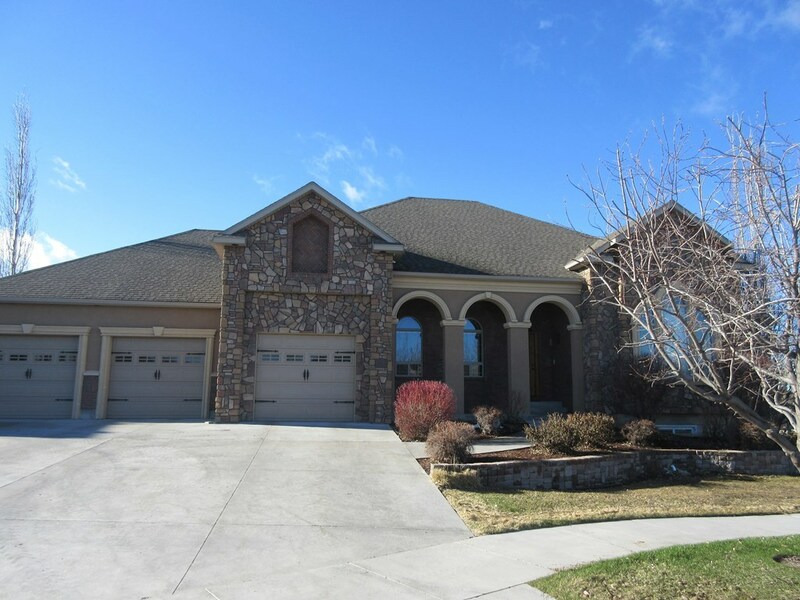 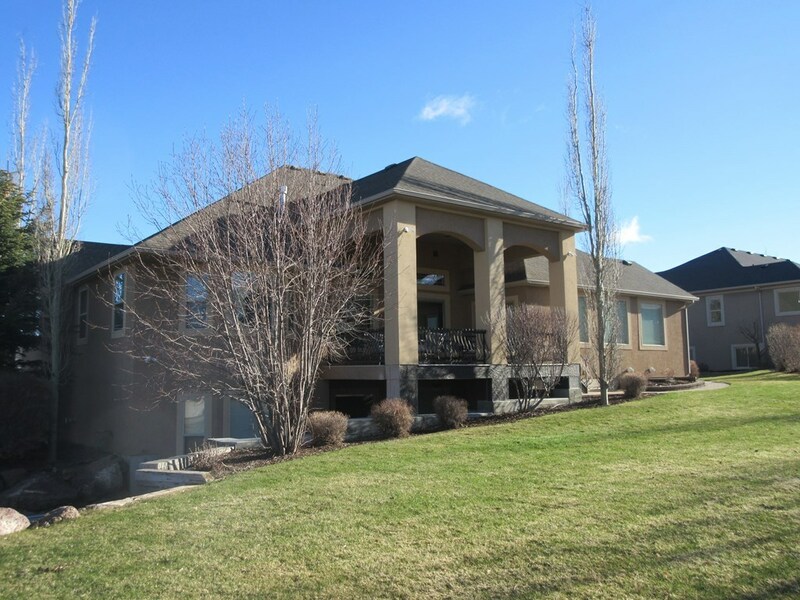 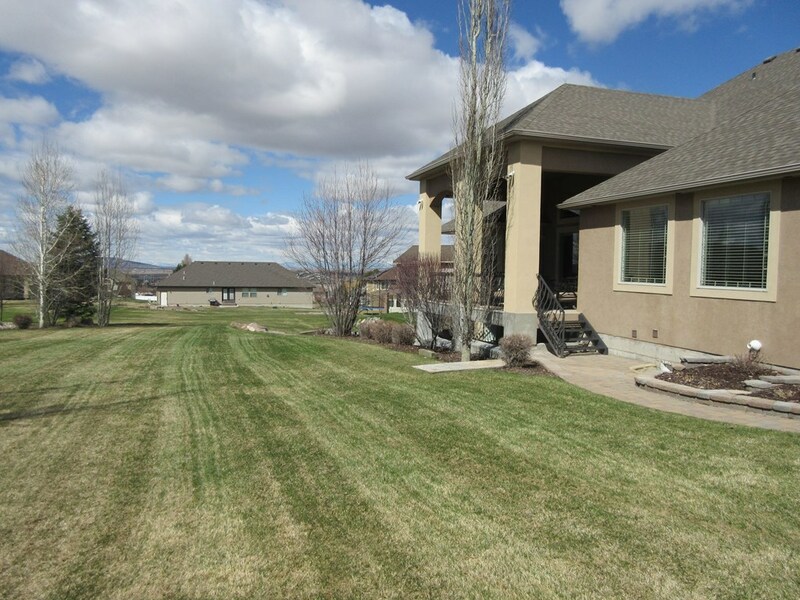 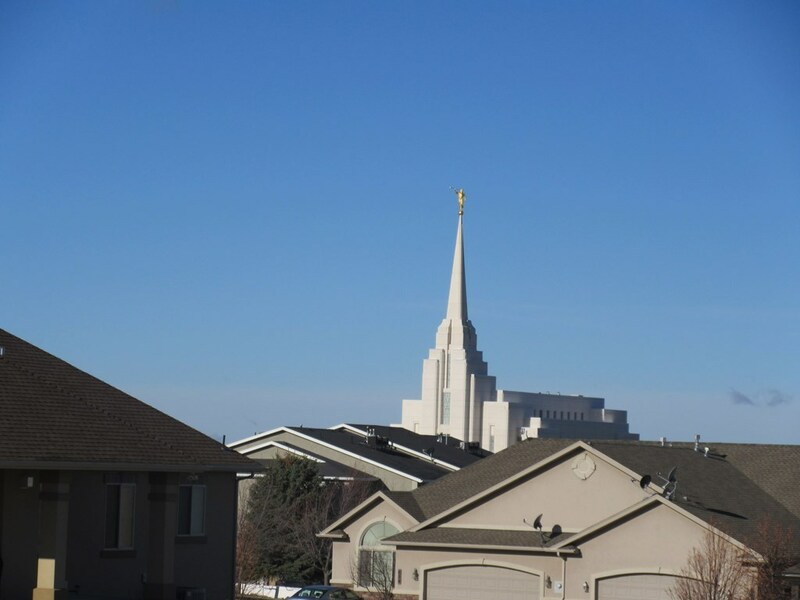 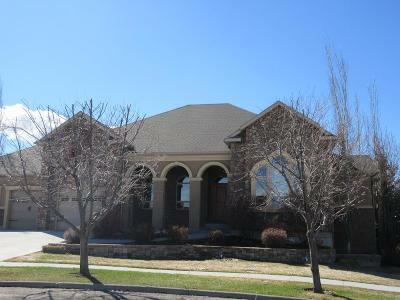 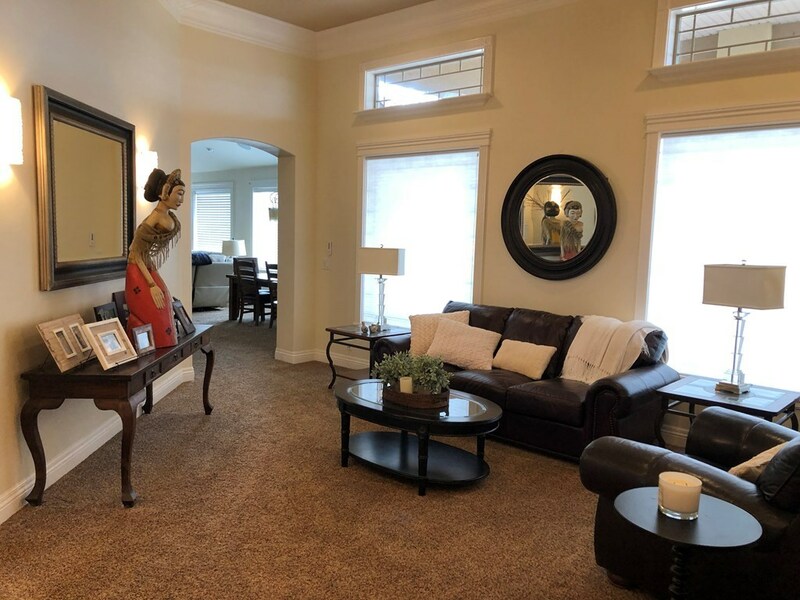 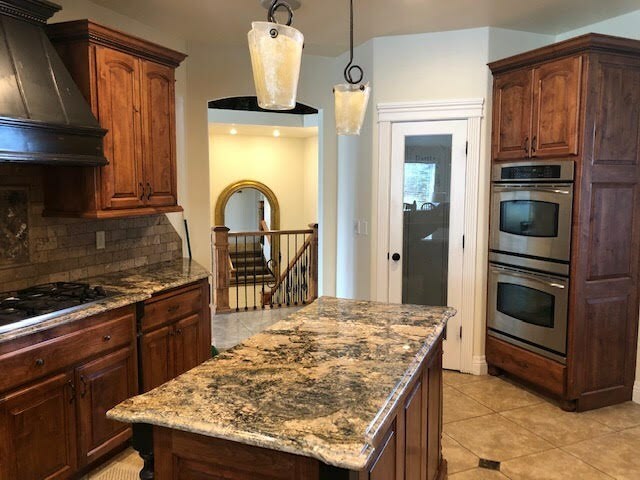 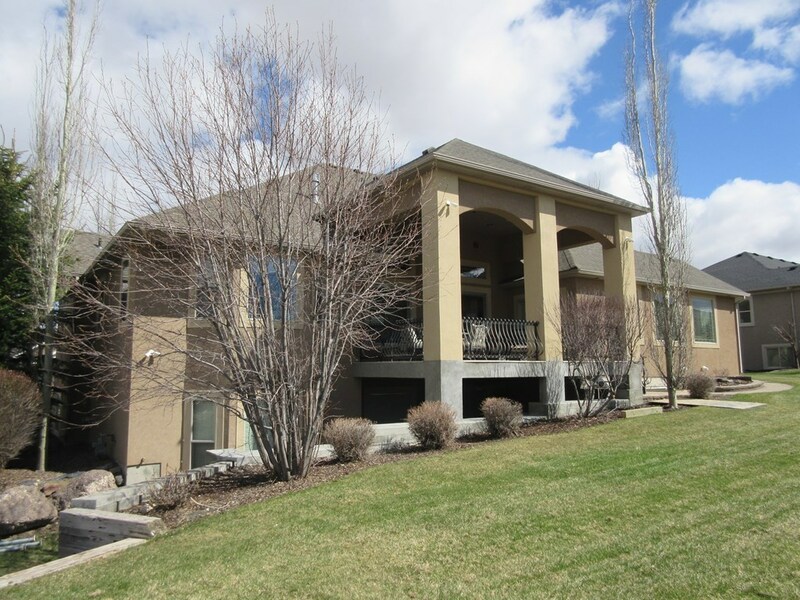 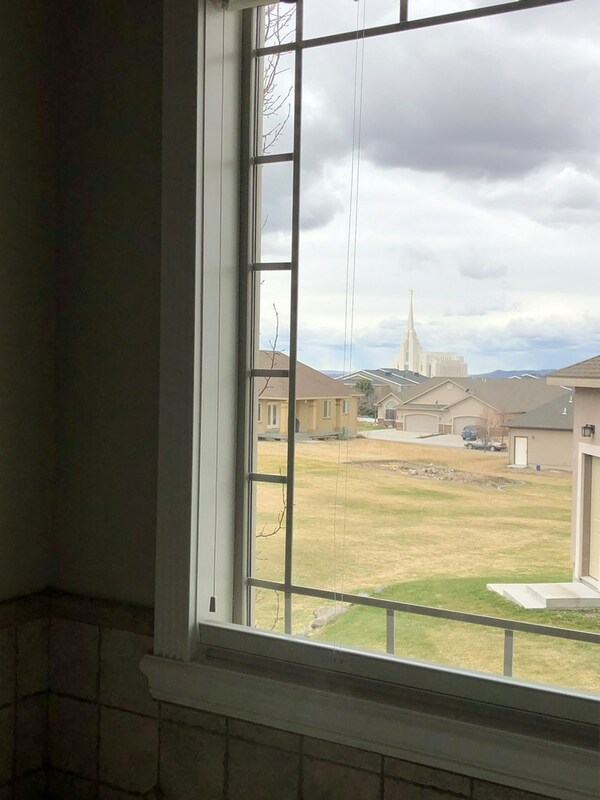 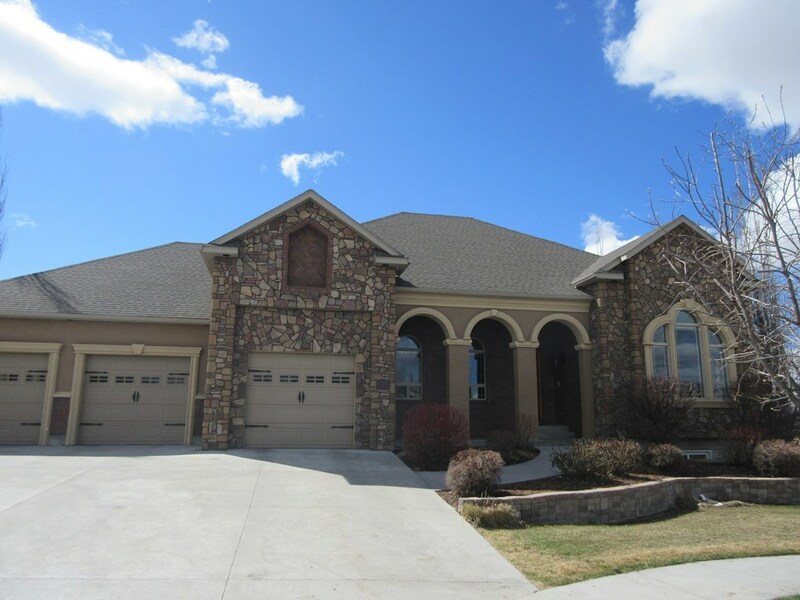 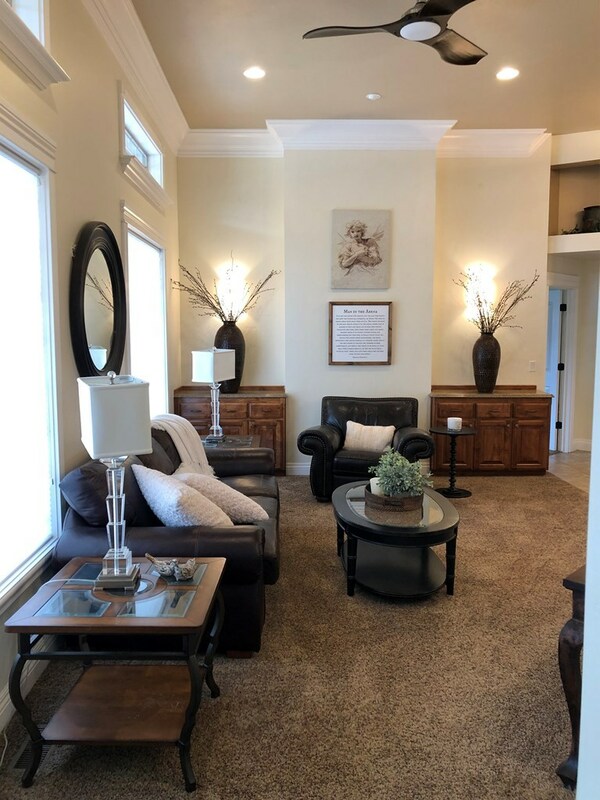 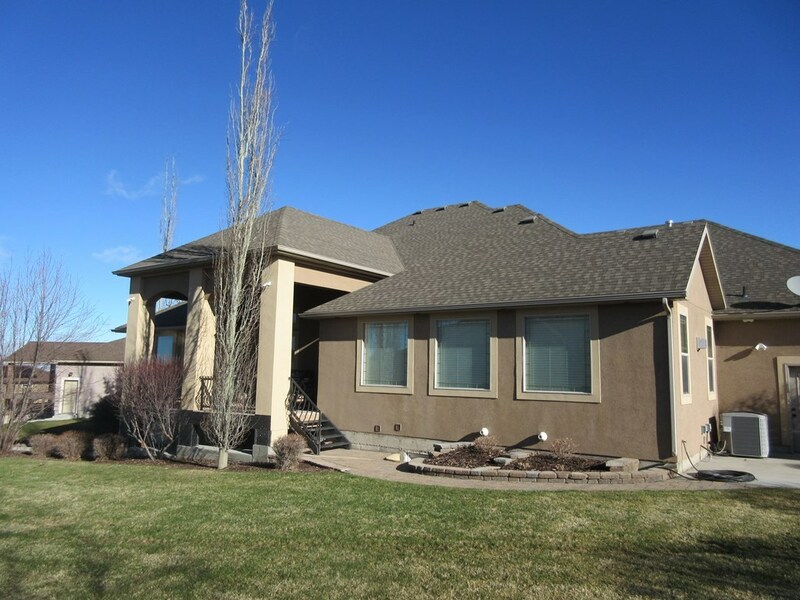 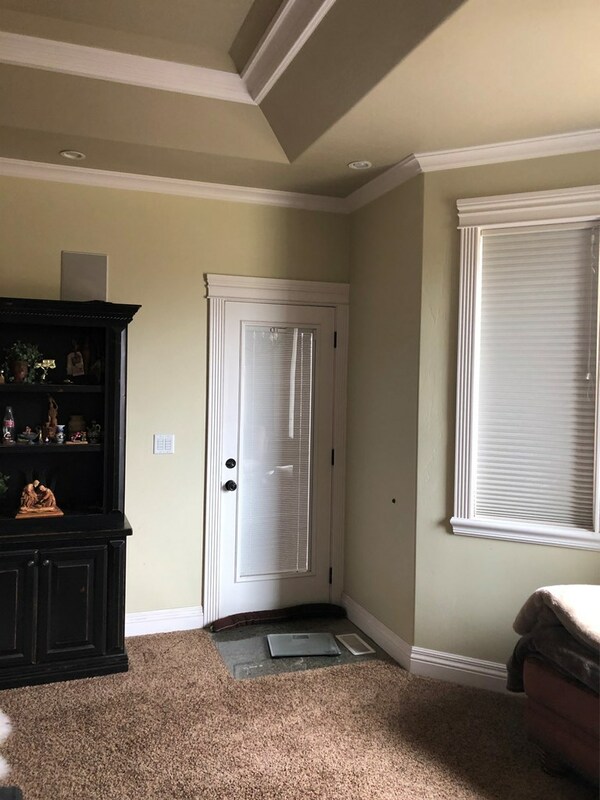 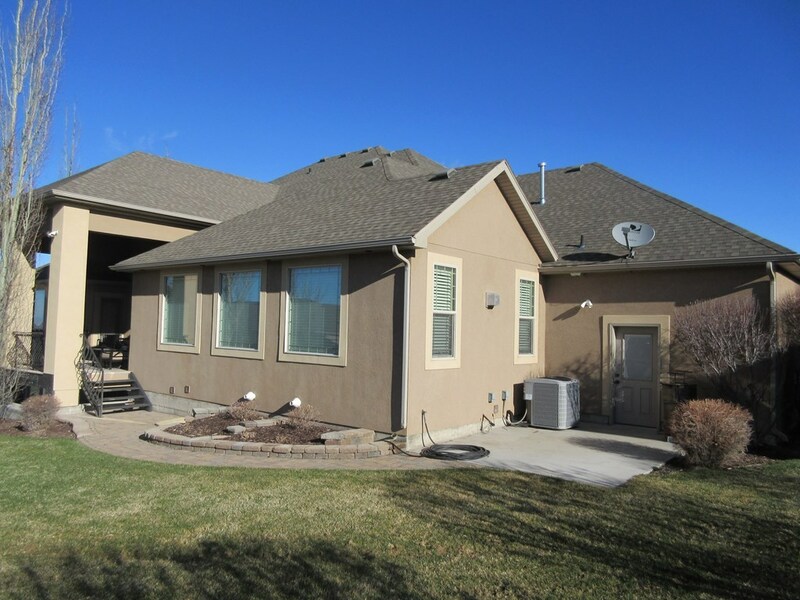 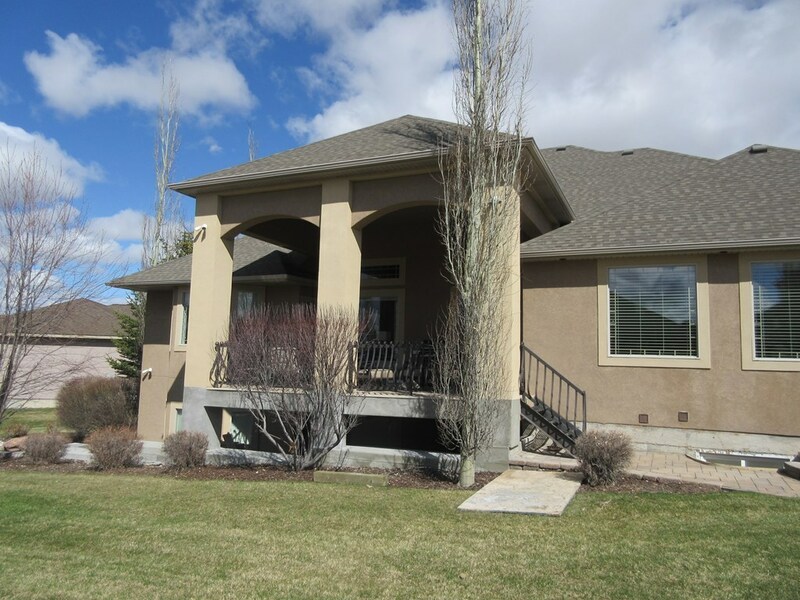 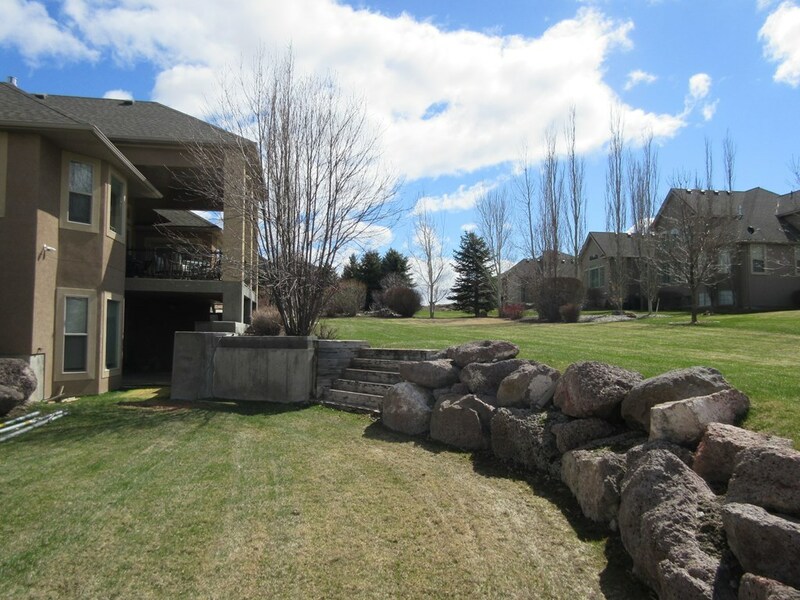 This home is in a quiet cul de sac and is only 1 block from BYUI in the beautiful Eaglewood Subd. 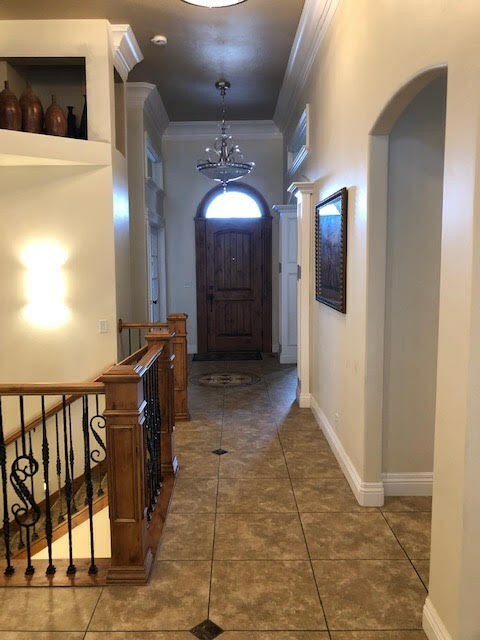 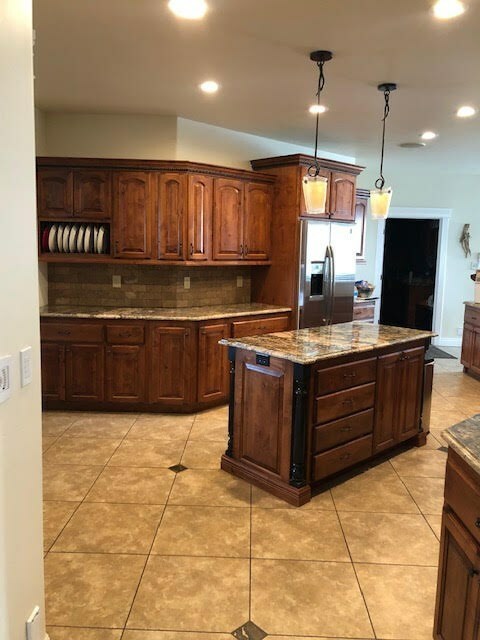 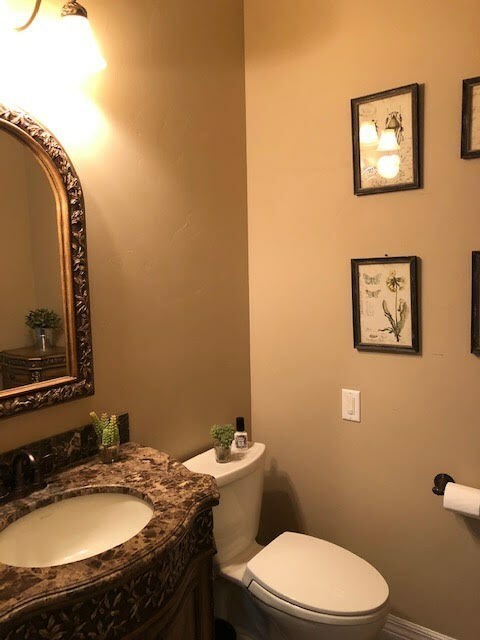 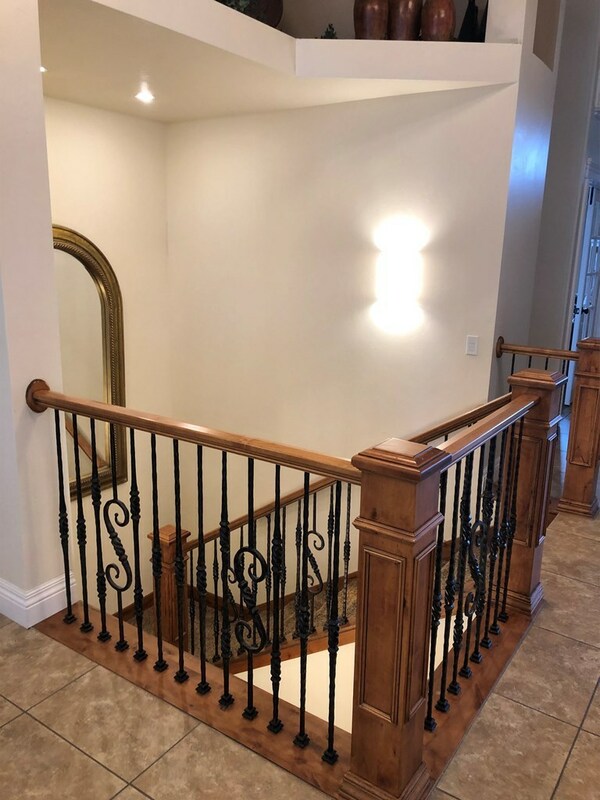 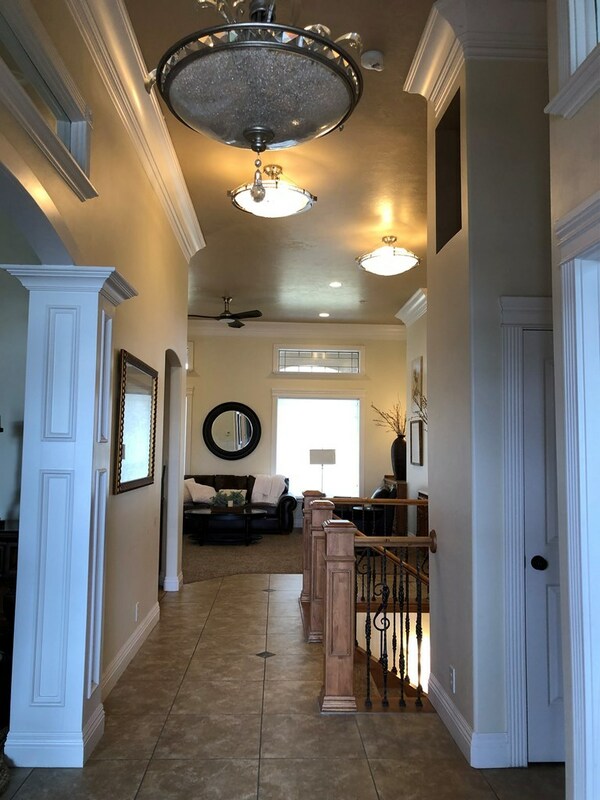 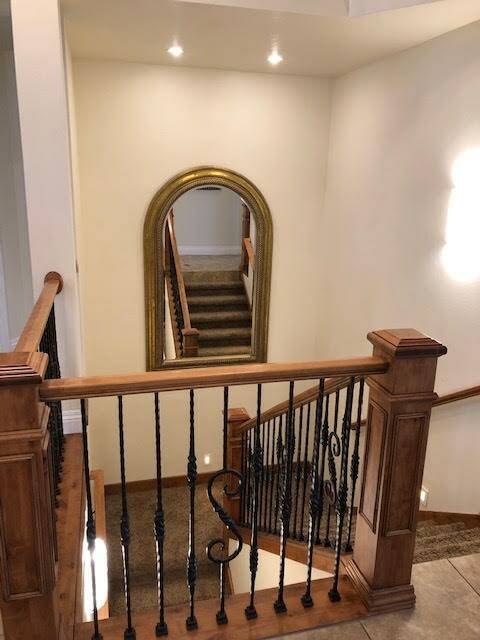 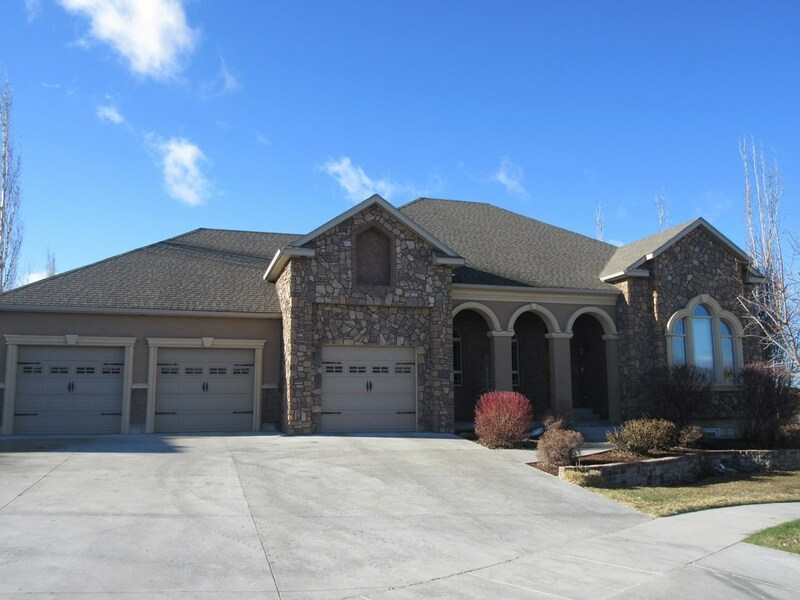 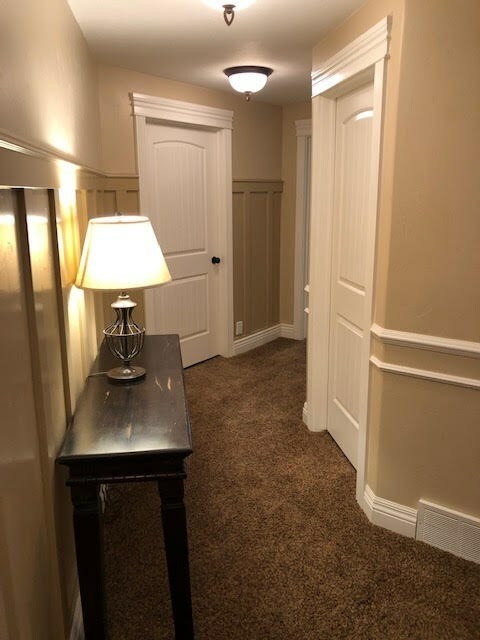 Come look and admire all the quality of this home. 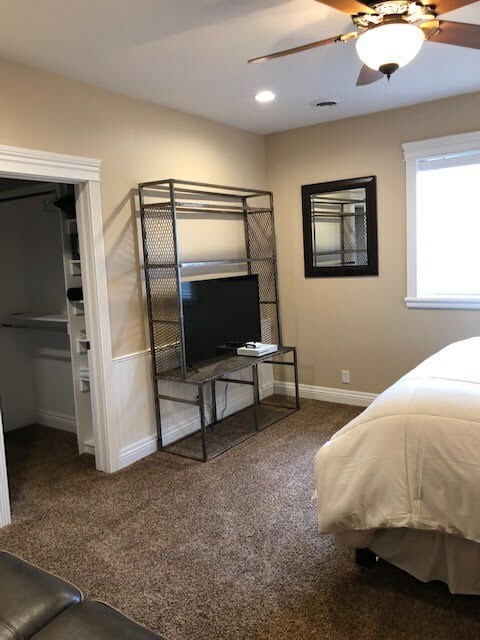 Exclusions: Personal Property Items, Washer And Dryer. 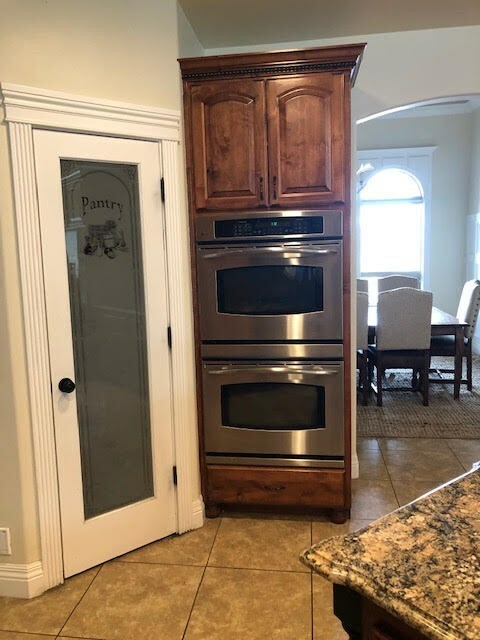 Inclusions: 1 Gas Stove, 2 Fridges, 2 Dishwashers, 2 Microwaves, Double Ovens. 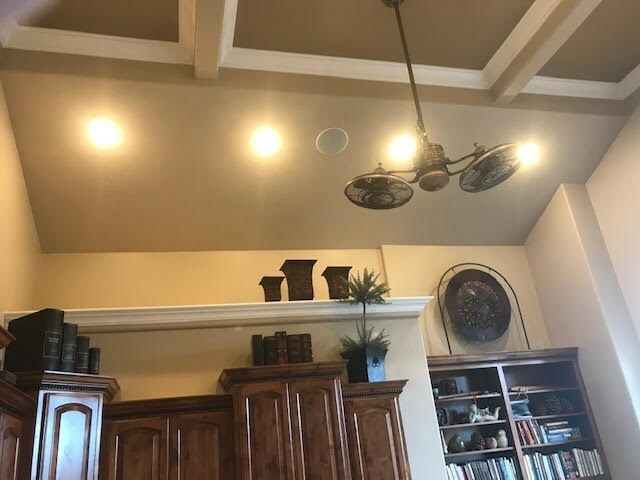 2 Furnaces, A/C.